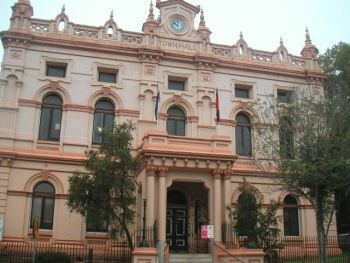 Glebe Town Hall, 160 St Johns Road, built in stages from 1880 to 1891. 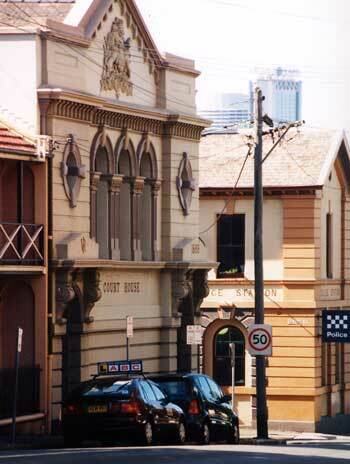 Old Post Office, 181 Glebe Point Road, built 1890. 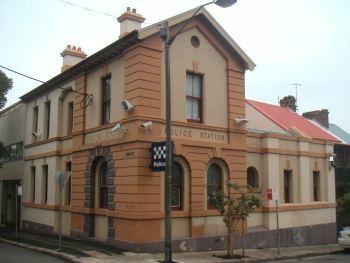 Police Station, 67 St John’s Road, built about 1890. 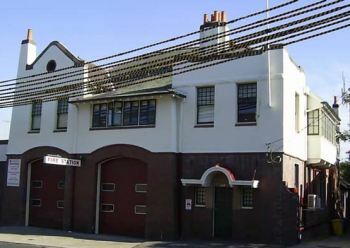 Fire Station, 75 St John’s Road, built 1915. Old Court House, 2 Talfoud Street, built about 1890. 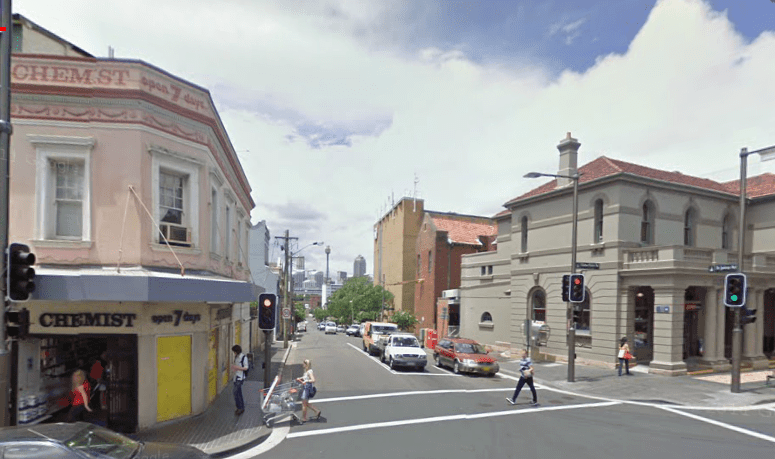 Glebe Court House and Police Station are on the Glebe Politicians, Publicans and Sinners Walk. 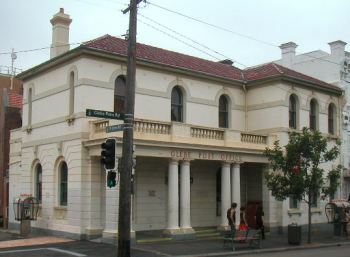 Glebe Town Hall is on the Glebe Late Victorian Streetscapes Walk and the Early Glebe Architects Walk. Can anyone help me with the history of the strange ex-church (or such?) at about 191 St John's Road. It is currently painted with a most outlandish face. Yes, the chemist shop is still operating as a chemist opposite the post office (which is no longer operating as a post office).